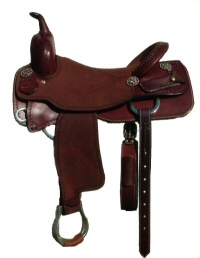 This saddle is made on a Bowden Brand tree, has a Texas Dally horn, 8 1/2" high gullet and a 4" high cantle." Designed with Chet Koen's 7/8 close contact drop D rigging with cutaway for superb feel. 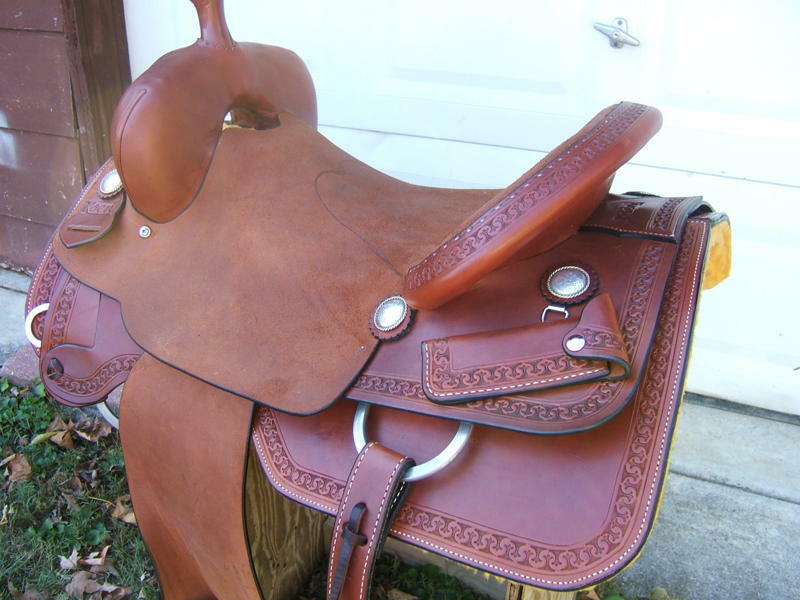 Click here to return to Cutting Saddles.